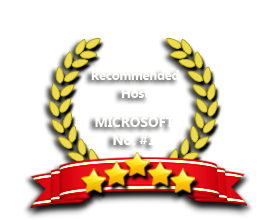 ASPHostPortal is the leading provider of Windows hosting and affordable ASP.NET Core MVC. Our price starts from $4.49 per month. ASP.NET Core MVC is a rich framework for building web apps and APIs using the Model-View-Controller design pattern. The ASP.NET Core MVC framework is a lightweight, open source, highly testable presentation framework optimized for use with ASP.NET Core. ASP.NET Core MVC provides a patterns-based way to build dynamic websites that enables a clean separation of concerns. It gives you full control over markup, supports TDD-friendly development and uses the latest web standards. However, who offer the best ASP.NET Core MVC hosting which could avoid all the possible compatible issues? ASPHostPortal is the answer for your best choice for their rich features, prompted customer support, high reliability and affordable price. We only focus and concentrate on Windows Hosting and ASP.NET Core MVC Hosting. ASP.NET Core MVC website is 100% compatible with IIS web server. We have included ASP.NET Core MVC framework support on all our hosting plan. You can mix your website with different languages regardless of ASP, ASP.NET, PHP or even CGI. All in one hosting plan. We understand that as .NET MVC developer, you will always looking for good hosting provider and also provide the cheap and affordable price. Please dont worry as you can host your MVC 3 site from ONLY $0.99/month. Our Windows Cloud Hosting fully supports ASP.NET Core MVC hosting. You are more than welcome to try our Free Windows Cloud Hosting before you decide to buy. You can get your Free Cloud Windows hosting account up and running within the next few minutes.